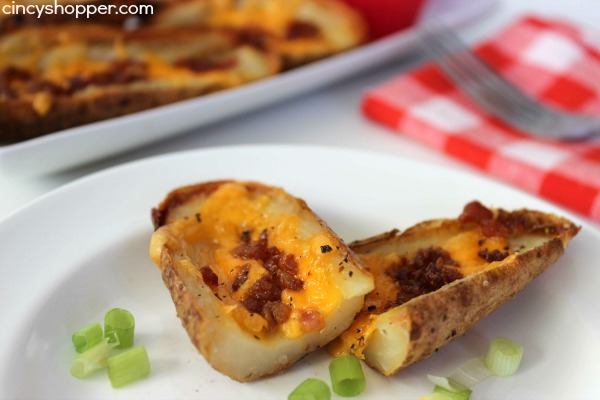 This CopyCat TGI Friday’s Potato Skins Recipe was a HUGE hit with my entire family. In the past we will make a trip to TGI Friday’s to enjoy an appetizer platter. 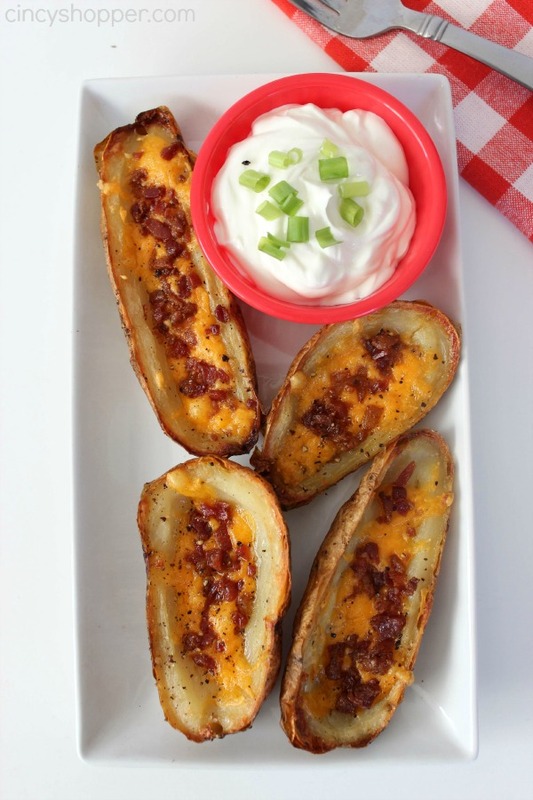 Everyone’s favorite app is the potato skins. So for you years I would purchase the frozen TGI Friday’s skins from the grocery when I see a good sale or if I locate a rare coupon. 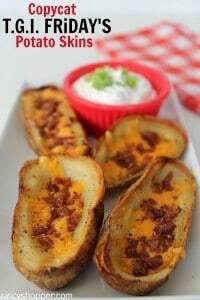 After enjoying a nice lunch at Friday’s last week I knew we needed to make our own Copycat TGI Friday’s Potato Skins at home. My bill at Friday’s was about gave me a heart attack. There were four of us enjoying appetizers and my bill was over $60. YIKES! That will not happen again for sometime, ha ha. I decided this copycat recipe was a MUST or I think I will be in some crazy debt doing that trip to often. I love skins loaded up with tons of bacon, cheese and green onions. 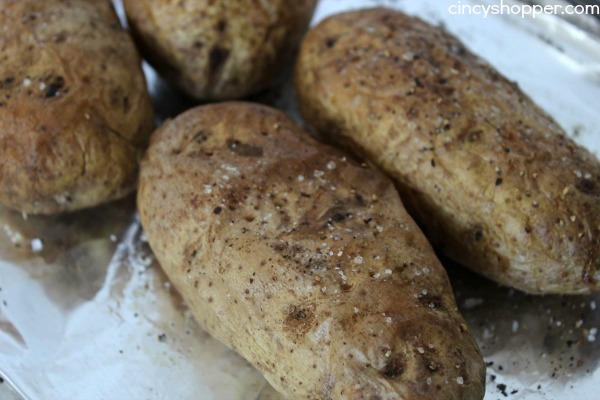 If you are a fan of TGI Friday’s skins you are going to love this simple and tasty recipe. I made up a huge batch of these skins and served them with a salad for dinner. 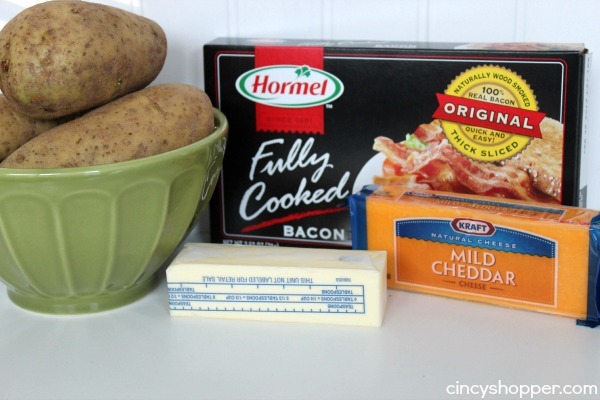 So this recipe is perfect to serve up an appetizer or a meal. I like that the TGI Friday’s Potato skins have a nice crisp and not too much of any one ingredient that dominates them. 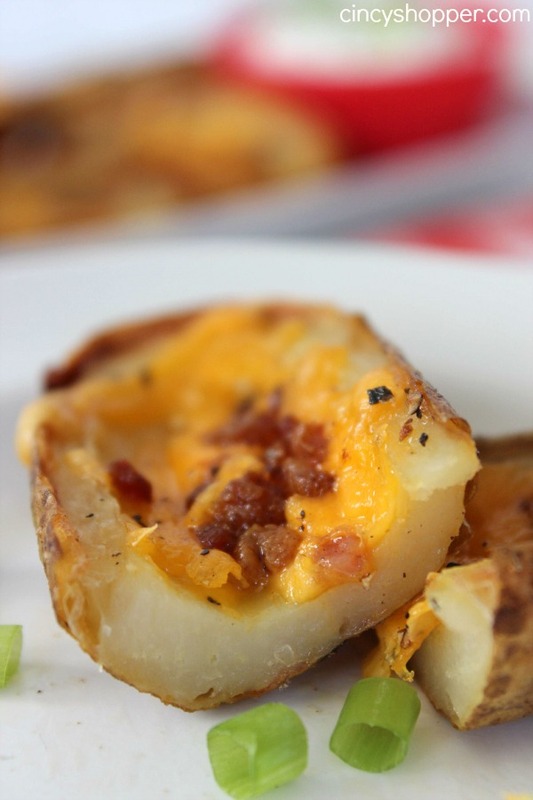 These were a perfect blend of the cheese, bacon and of course that slight crisp. Plus making our own at home saves so much money. My kiddos and hubby were trying to plan out the dinner menu so they could enjoy these again next week. Yup.. everyone liked them so they are a keeper. 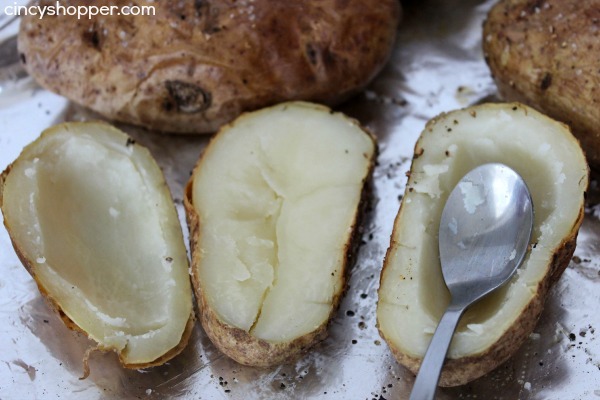 Use a spoon to scoop out white middles of each remaining slice, leaving about 1/4" thickness in each. Hi Jen, I’m featuring your potato skins for the 12th day of Christmas Series: Party Appetizers. It will go live a little later on today (12/12).